My favorite U2 song that begins with D is Deep in the Heart. It is a B side off I Still Haven’t Found What I’m Looking For, my all-time favorite U2 song. I love the B sides off The Joshua Tree, my favorite U2 album, just as much as, if not more than, the songs that made it on the actual album. I love the overall sound of Deep in the Heart, especially the pounding drums! 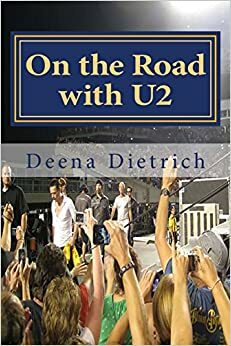 What is your favorite U2 song that begins with D? Such a great song! Was this one of those B-siders? My fangirl card may have to be revoked, but I confess I didn’t readily remember this one. I pulled it out of my library and yes! I like this one, too! Had you asked me before this post my favorite D song, I probably would have said one of the Dirty Day remixes, but now I’m not so sure… ready for E! A lot of my favorites are b sides off Joshua tree and rattle and hum. Thanks for reading.